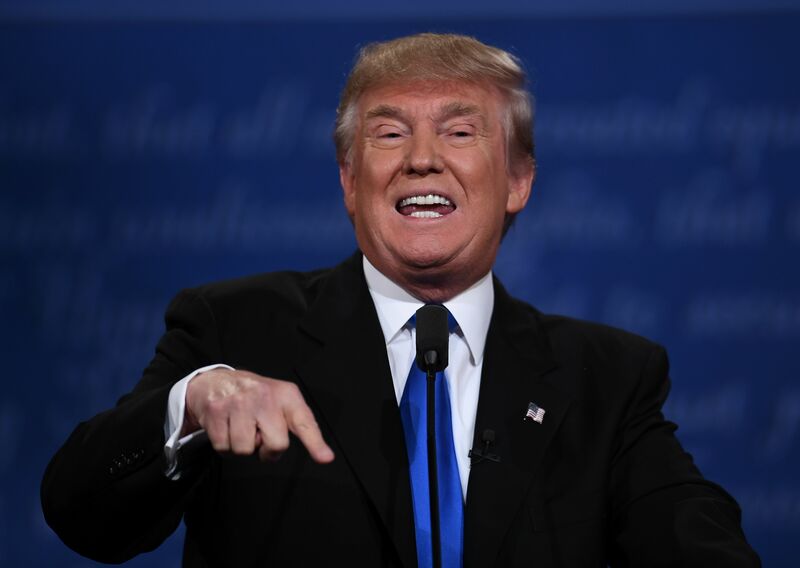 On Monday night at the first presidential debate, sparks flew between presidential candidates Hillary Clinton and Donald Trump, and within the first half of the debate, Trump dropped one of his greatest vocabulary words: braggadocious. First, it IS a real word! An adjectival off-shoot of braggadocio, which was brought over to English from the Italian by the poet Spenser in 1590, the word is a beautiful autology — a word that is what it means — when simply saying “not to brag” isn’t braggy enough. See how un-braggadocious that was? Or, wait, maybe it was so un-braggadocious that he’s circled all the way around and has actually out-braggadociousized himself? He’s so humble he’s making my head spin. Monday's usage was similarly tied to his wealth — and I’m a little disappointed Clinton didn’t step on that wound a little bit — with Donald saying “I have tremendous income, and the reason I say it is not in a braggadocious way.” Fortunately, the internet was there to celebrate his revival of braggadocious. Not to implicate him as being braggadocious, but I’d Trump will happily accept your thanks for this vocabulary lesson.